Have you ever gotten that sick feeling when the car payments are due? You know you don’t have a choice when it comes to making car payments. You need transportation to get to work and haul the kids around. But you knew if you had a paid for car that the family finances would be much easier to deal with. What if something bad happened like getting laid off or a sickness that would keep you out of work for several months. Would you end up losing your car because you can't make the payments? Unfortunately, many people would. 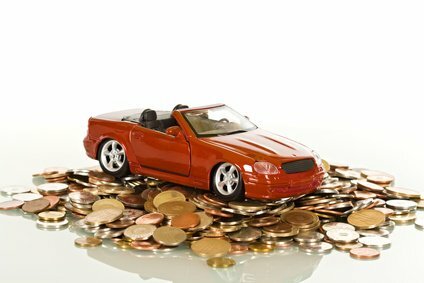 4 Steps to Getting Rid of Car Payments Forever! So how can you eliminate that sick feeling and get rid of car payments for the rest of your life? Well, there is a very simple concept that will allow you to do that if you’re willing to have a little discipline and stick with a plan. 1. First, keep doing what you’ve always done and continue paying your car payments until the vehicle is paid off. If you have any extra money to save toward your next car, then put it away and don’t touch it. 2. Next, resist with everything you have the “car fever” that we all get when a car is paid off. Like the flu virus, it is a natural phenomenon but it can be very detrimental to your financial health. You see, when you finally get a car paid off, that car loses a bit of its luster. You’re tired of driving the same old car and now you have a little money freed up because you don’t have car payments anymore. So in your infinite wisdom you decide you need a new car, better yet, you DESERVE a new car. So let’s go out and get another car payment. Give me a break! Resist car fever at all costs! 3. Keep that old car that’s still running fine and drive it until the wheels fall off. Put that car payment in a bank account every month instead. No, you don’t treat it like found money and buy a bunch of cool stuff because you have an extra few hundred dollars a month. CONSISTENTLY put that money in a bank account and leave it there. 4. You drive the wheels off that old car, and when you have enough saved up you can buy the car of your choice with the money you’ve been saving. Once you do this you continue putting a payment in the bank every month so you’ll be ready when the time comes for the next car, and so on until you die or your kids take away the keys. This is a great way to begin taking control of how you spend your money on transportation. It’s really not that difficult to do, especially when you finally decide you’ve had enough of sending your money to someone else and you change your mindset for good. Just think, if you were to lose your job or experience some other financial crisis, think about how great it would be to have a paid for car. When a crisis does happen, all you have to do is not pay into your car account for awhile until your financial situation picks up again (disaster averted!). Another benefit is that owning a car becomes cheaper because you're no longer paying interest on a car payment. So now, instead of paying almost $30,000 for a $20,000 car over five or six years, you actually pay $20,000 and that’s it. Since you have cash you may even be able to negotiate a discount, depending on who you’re dealing with. People get itchy to sell when they see a pile of green in front of them. So when you feel yourself getting “carsick” once again, think about this simple process. Change your mindset, and get rid of your car payments FOREVER! ACTION STEP: Change your mindset about car payments. Commit to paying off your car and putting the payments in the bank until your car dies. Then pay cash for your next car. In this economy, I will never spend more than $3000 – $4000 on a nice used car. It can be done! I think you’ve made a wise choice. It’s just not that hard to do when you have a plan in place! Most people don’t have a plan, and that’s why they end up financing instead of paying cash. You’re welcome, glad I could help motivate you!